• Releases locking tabs on electrical connectors, component connections and wiring harness connectors. • Eliminates damage to the tab or connector. 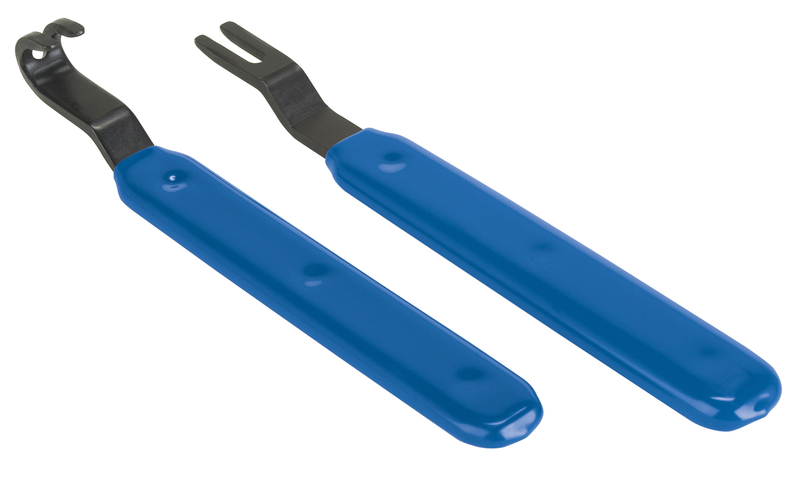 • This pair of tools permits access to electrical connectors in any position.